The scenery, flowers and birds, coupled with your wealth of knowledge, really made for a super few days. It was so nice spending time taking it all in, without the need to rush to the next destination. The dynamics of the friendly group merely added to the enjoyment. The week went all too quickly so, who knows, I may return for more! Do thank Ceri for the lovely sandwiches and the chickens for the eggs! 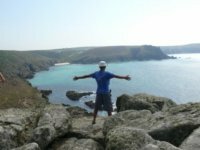 Why a guided walk in Cornwall? 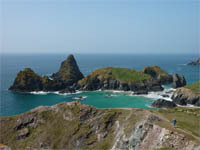 Cornwall is the southwestern archipelago of Britain. A Celtic country or an English county? Somewhere in between lies the answer. Unmistakeably, the Cornish landscape is spectacular. We love walking and we love showing people the best of Cornwall. We walk at a leisurely pace, we talk, we laugh, and we are amazed. Aquamarine seas, undulating paths over cliffs, bays, headlands, heath, woodland and estuary. We will witness the many moods of the sea and the interaction between humanity and the landscape. 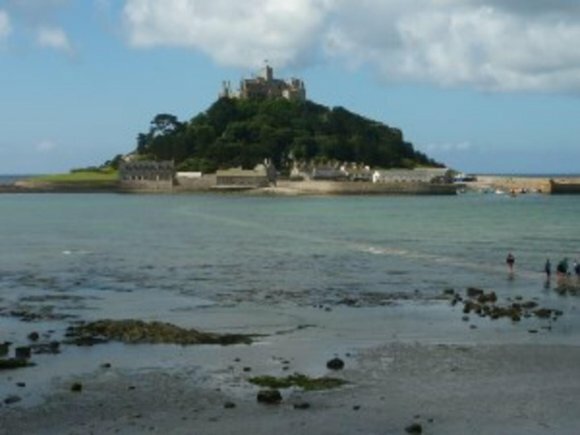 We have chosen the best views and the best walks Cornwall has to offer. We know Cornwall intimately as only a company that walks 365 days through this wonderful landscape can. 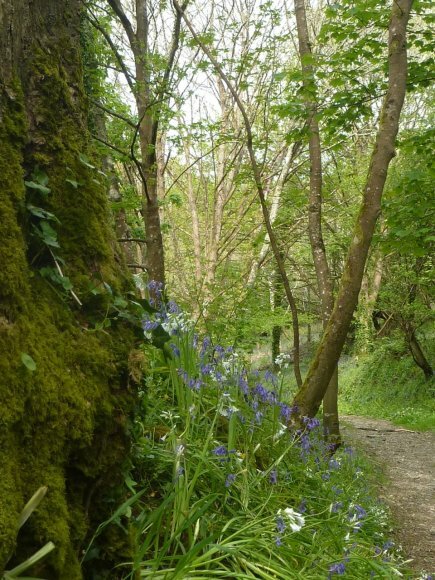 walkitcornwall’s walking guests are encouraged to discover and understand the unique DNA of each area of Cornwall through the many layers that make up the stories of Cornwall. These layers define this unique part of the UK through its unparalleled natural history, culture, industrial and nautical heritage and the layers are brought alive through physically exploring a variety of mainly coastal sites and habitats on both circular and linear walks. The layers also include Cornwall’s history of fishing, farming and mining, Methodism, myths and legends, archaeology, art and literature and the stories and symbols of Celticism. There is not one story of Cornwall but many stories and many Cornwall’s. Without its physical detachment from Britain there would be no independent cultural identity. 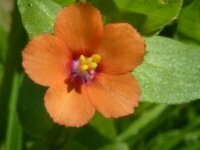 Without its unique geology and biodiversity there would be no sparse settlements and symbiotic human relationship with the land and sea. Without the myths and legends or indeed ancient physical remnants there would be no romanticism and mystery that has bought thousands of artists and writers to this periphery of a Celtic kingdom. Without the independent, tough and inventive people there would not have been the industrial know how and heritage spread throughout the four corners of the globe. For you and me and indeed each individual there is a certain, specific and special Cornwall. 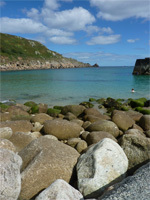 It is each walking guests’ idea of what Cornwall is that is important to us at walkitcornwall. Let us explore these ideas of what Cornwall is, together. From Falmouth, where we stay, one hour east is the vast open moor of Bodmin Moor. The Moor is central to the coastal towns of Padstow in the north and Fowey in the south all linked by the long distance path of the Saints Way. One hour west is the Celtic stronghold of Penwith where stone circles, quoits and dolmen stones tell an ancient historical story and myths and legends abound in every craggy headland. 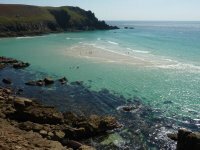 The north coast is a stark contrast to the more gentle south coast and is anything from half an hour away stretching up to an hours drive to Port Isaac and Padstow down to Zennor and St Ives. 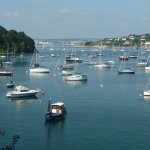 We also cross the Fal river to the Roseland Peninsula, an enclave of narrow winding roads, quiet coves with magnificent beaches. Time stands still as we slowly walk the coast path, estuaries and fields of the Roseland. We spend five days 9-5 going to five different places in Cornwall returning to Falmouth each evening. The maritime town of Falmouth has the 3rd deepest water terminal in the world after Sydney and Rio de Janeiro. It was also home to the Falmouth Packets, the forerunner of the Post Office that delivered packages all around the world. Falmouth overlooks the Carrick Roads. This is the expanse of water that includes the Fal and Percuil rivers, the former leads up to Truro, the latter being the maritime entrance to the Roseland peninsula. Opposite is St Mawes and if one follows the coast south there is 42kms of shoreline of the exquisite Helford River, the gateway to the Lizard peninsula. Pendennis and St Mawes castles guard the entrance to the Carrick Roads with the town of Penryn and the city of Truro up river. The award winning Maritime museum in Falmouth is definately worth a visit at one end of the ribbon development that is the main shopping area. There are an excellent variety of shops, galleries and coffee houses to watch the world go by or for just gazing at the harbour and coastline. There are numerous banks for international visitors and Falmouth is a major stop off for cruise liners. There are music and drama productions, gallery shows and films to be seen and heard every day of the week, all year round which is also why we base our guests here for our walking holidays and vacations. 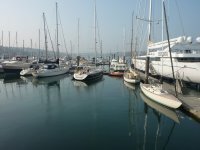 I call Falmouth the walking capital of Cornwall as it is the gateway to the best walking in Cornwall. To the south there is the unique Lizard peninsula (we also do a walking holiday around the Lizard coast on the south west coast path). Just across the water to the east is the Roseland peninsula commanded by Truro, St Mawes and the Fal River. 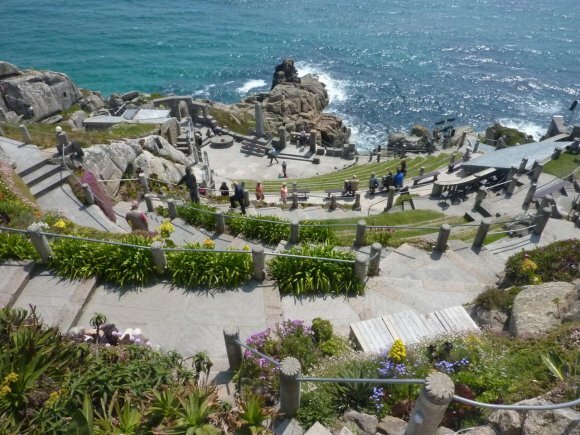 Two of the more famous places we might visit are St Michaels Mount at Marazion and the Minack Theatre at Porthcurno.